Do you feel as if Western medicine isn’t offering a complete holistic solution to your health issues? “I went to Bill with a chronic pain pain problem that I was suffering with for approximately one year. I felt relief after my first treatment and increasingly improved while under Bill’s care. Not only is Bill excellent at what he does, he also has a kind and compassionate approach. “I stopped seeing Bill when my pain subsided and approximately six months later I developed a very severe headache which was lasting for several days. Bill came in on his day off to give me a treatment. I felt relief immediately. I really appreciated Bill coming in on his day off. “Having been diagnosed with Rheumatoid arthritis a couple of years ago, the rapid onset of symptoms such as swelling of the hands and feet and intense pain seemed to be a death knell for a normal active life. In fact within a couple of months I was unable to climb stairs, and walking was proving to be painful due to the extensive swelling of my feet. Disability loomed ever closer….Acupuncture was recommended as a treatment option, and while I was skeptical at that point I would have tried anything. So I started my acupuncture treatments, and within 3 treatments was walking (!) merrily down the stairs and on the street. Within 6 months I had my life back, and was not feeling like I need to be disabled. In fact, I now go for long walks at lunchtimes. 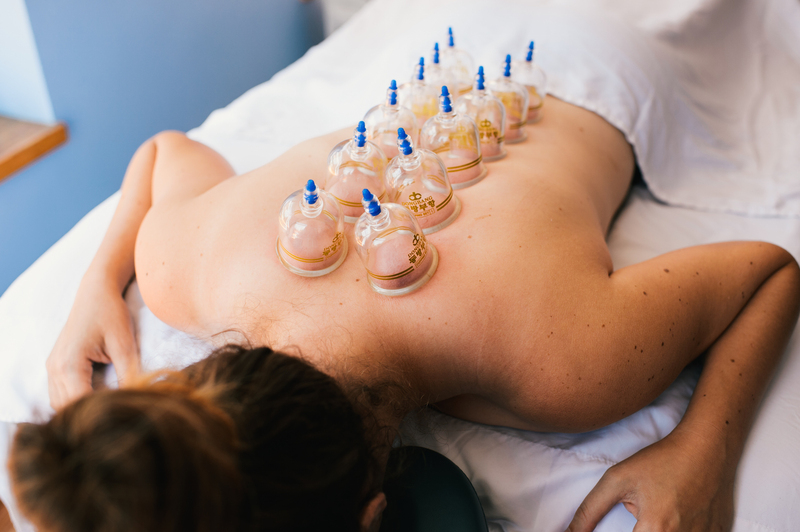 After the initial treatments, I now keep to a maintenance schedule, and have had little or no problem with the associated swelling – and if any symptoms do act up, I know that the acupuncture treatment will keep it under control. 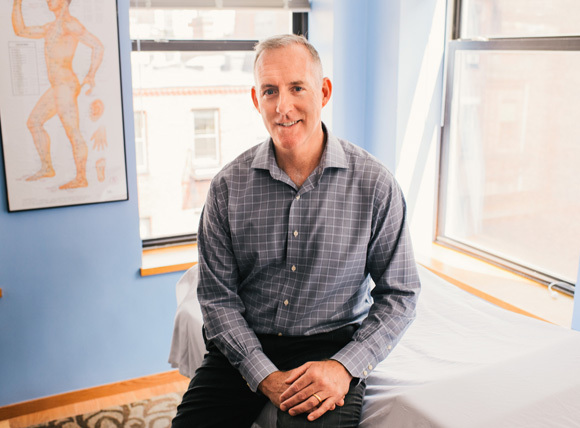 I had the pleasure of working in the same office as Bill Mogan for several years when I was in Boston and I hold his clinical skills in the highest regard. He has helped several of my patients through some very tough patches and has even helped me recover from a severe injury personally. I frankly do not know what I would have done without him. I trust his skills completely and can not recommend him highly enough. If you are looking for a good, rational acupuncturist (who is also trained fully in chinese herbology by the way) you couldn’t make a better choice. I would send any friend to him for treatment without hesitation. My knees had gotten to the point where I thought needed to see an orthopedic doctor to arrange a possible surgery. However, good news was the doctor didn’t think they were bad enough to have surgery at the moment, but that I needed to take some preventative measures to see if we could delay surgery for a while longer. She was a proponent of alternative therapies and suggested acupuncture. Bill had high praises from several people at work so I made the appointment, and have been very pleased with the outcome that acupuncture treatment has given me! Bill is very thorough, explains everything he does and why he did it (I tend to be nosey! ), and really pays attention to the issues I bring up when I see him. 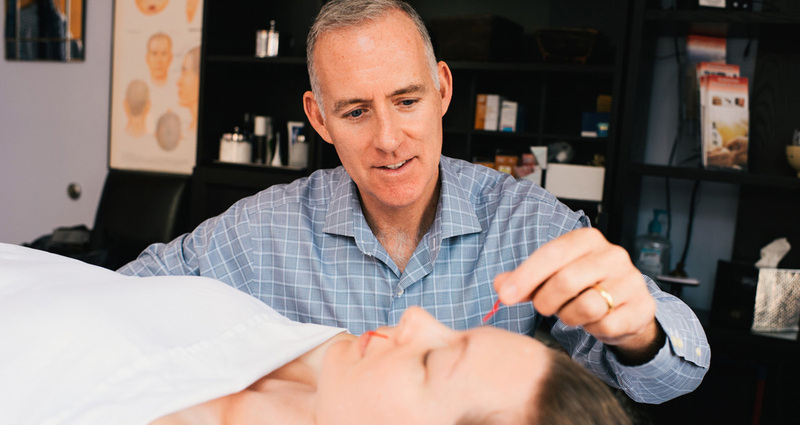 I approached Bill about a year ago about the cosmetic side of acupuncture, and found he had experience in that, so we began the those treatments. Let me just say, I haven’t told very many people about what I was doing.. But the results and comments have been phenomenal! Even my own mother thought I had “something” done! I am so pleased with his treatments, his sincerity, and his ability to really listen and see the nuances that one’s body projects when you go into his office. He’s just really great and I recommend him to everyone I know!! I believe that health is a manifestation of balance, both within the body itself and between the body and the external environment. When the body is internally balanced and in harmony with the external environment, energy flows smoothly throughout to nourish all organs and tissues. 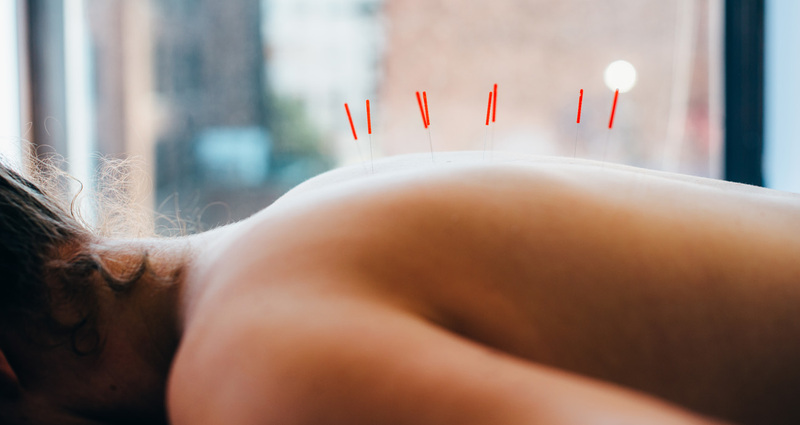 By adjusting and stimulating the flow of energy through acupuncture, we stimulate the body’s natural healing ability to maintain health and protect against disease. Acupuncture originated in China over 3,000 years ago. It is part of the holistic healing system of healing known as Traditional Chinese Medicine. Acupuncture works by bringing balance to the body, thus allowing healing to take place. The classical Chinese explanation is that energy (Qi) flows in channels/meridians throughout the body. If there is disruption in this flow, illness/fatigue/pain will result. Acupuncture restores harmony to the body natural healing system. Acupuncture is performed by inserting very thin needles into specific points where the Qi is both concentrated and accessible, thus providing a stimulus to encourage healing. The needles used are ultra-thin and made of stainless steel; FDA-approved, that are designed for single-use only. The needles have been sterilized by the manufacturer prior to packaging and used only once, then properly disposed – I never ever reuse needles. Many patients report that they do not feel the needle insertion or some may feel a sensation similar to a little pinch. No, the healing reaction from acupuncture is physically generated, but I have found the patients that have a comfort and understanding of acupuncture do tend to have better results. The correct answer to this question is “it depends”. Your relief may be immediate, delayed for a few hours or even develop after one to three days. The relief may last for a few hours on the first visit and then last longer with each successive treatment. Or, relief may last from the first treatment until your next visit. It is important to recognize that we are all individuals with different conditions, ailments and concerns; individual response to treatment varies. Each patient, condition and their response to acupuncture is unique. The number and frequency of treatments will vary on a case by case basis. Feel free to email me to discuss your condition and I can give you an idea of what I feel would be an effective treatment course for you. No, but it usually does. Every condition and treatment plan is different – sometimes it takes 7-8 treatments for acupuncture to have a healing impact. I do accept some insurance plans including No-Fault and Workmen’s Compensation. Please check with your Insurance Company Provider for their rules about acupuncture coverage details, such as number of visits allowed, diagnoses covered, and co-pay amounts. 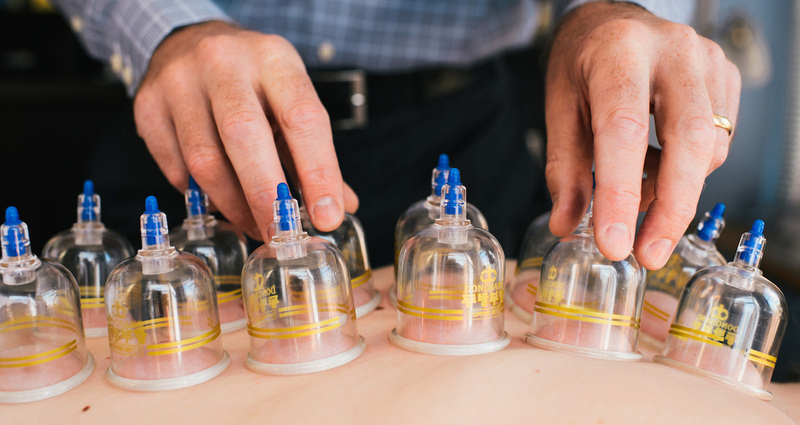 Cupping therapy is an ancient Chinese treatment in which a local suction is created on the skin; the suction is created using a simple mechanical hand pump device and a glass cup. Sometimes slight bruising may occur which will clear-up in 1-3 days. Herbal medicine is a powerful method of healing. Chinese herbs nourish and balance the body thus enabling healing, improving organ function and building up a person’s constitution and immune system. I am a licensed Board Certified Chinese Herbalist and use herbs regularly with patients; in some cases herbs will be necessary to see sustained positive benefits. The herbs are ingested as a 5:1 extract powers or can be taken in pre-formulated “patent formula” pill form. Each herbal regimen is personalized to a client’s condition and often modifications to the herbs are done as treatment continues, as the body starts to shift towards being healthier and balanced, the herbs are adapted to meet the changing needs of the body. Chinese herbal formulas tend to be much gentler than western medicines. Please be upfront about the current medications that you are taking to reduce the possibility of interaction side effects. Herbal regimens are typically prescribed on a weekly basis and range from $7-$21 dollars. $135 – Please be prepared to stay for 1-1.5 hours on the first treatment appointment, which includes the initial consultation and intake.